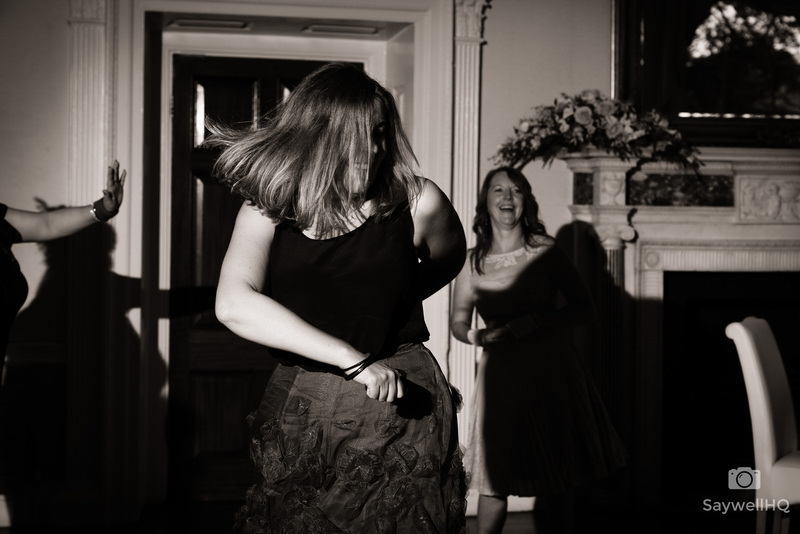 Sometimes I like to change up my wedding disco photography – I normally shoot the disco part of weddings with a single handheld flash triggered from a godox trigger with the camera zone focused to around 2 meters I then get close and start shooting! But sometimes depending on the venue, or the type of wedding I like to rig up a couple of Godox AD 200’s on light stands and get some directional lighting going on. It can be a little more hit and miss due to the fact that you can only shoot in certain directions unless you want the lights flaring into the lens. In the shot above you can see the light I have rigged to the left has lit one of the ‘ravers’ perfectly and the light to the right has added a kick to the back of the bride and a few of the other ‘groovers’. The trick with this type of set-up is to wait until the ‘partygoers’ are in the zones of the off camera flash and then fire away. In the above shot, I am still shooting with the same ‘cross lighting’ but using the light over my shoulder to light her up making sure that I am not getting the light on the right-hand side in the shot. The settings for this type of off-camera flash does vary depending on the venue, the ambient lights and sometimes the guests. I normally have a flash set to the side of the band or DJ with the other flash directly opposite so they are facing each other. For the camera settings; I tend to want the only light in my camera to come from the flash so I set my camera to eliminate all ambient light. The above image was shot 1/100th of second, F5 and ISO 160. These settings mean that I get enough depth of field, the ISO is nice and low so perfectly clean and the shutter speed was set to make sure I didn’t get any light streaks from the disco lights. The flash power is trial and error to start with but after a few frames it’s easy to dial in the correct power – I always start at 32nd power which means I can increase or decrease the power of the flash, all of which is done using the Sony Godox XPRO-s trigger. I tend to shoot for around 30 minutes with this set-up and often at the start of the disco / live music because the dance floor is not busy. The main problem with this off camera set-up is people blocking the flash. 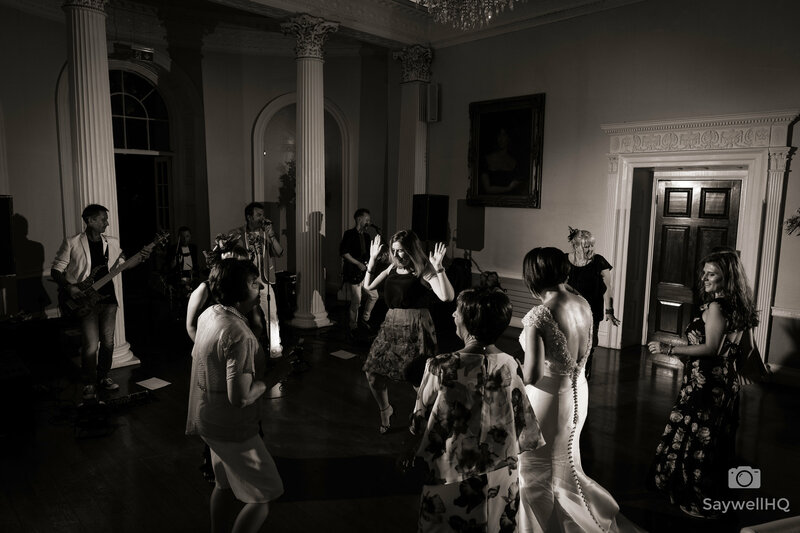 If the dance floor is really busy then its difficult to get clean flash on people and you can end up with very heavy shadows often partial shadows – these images can still work, but the busier the dance floor the more difficult it becomes. 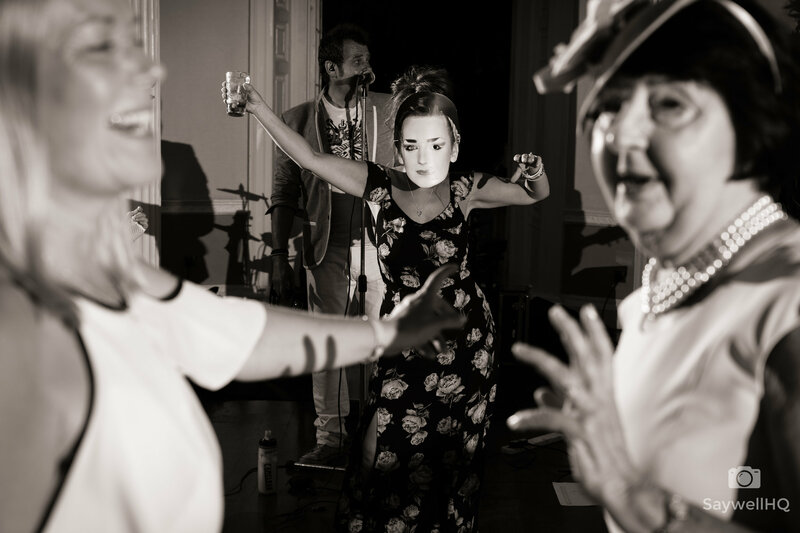 Hopefully, this gives you an idea of how you can improve or add something to your wedding disco photography – I’d love to see your results – drop me a link!